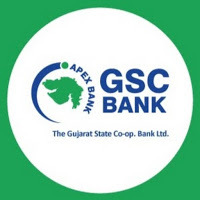 GCS - The Gujarat State Co-Op. Bank Ltd. Has Published Notification for the recruitment of Various Posts recruitment In GCS. This is a great chance for the candidates who are looking for Bank Job. Bank Job is very Valuable and Important Job Placement. Candidates Are Requested to read official notification before applying this Bank JOB. More details for this Bank Job are as given below. Educational Qualifications : Graduate Form Recognized University. For more details about Qualifications and work Experience Click On Official notification Given In Below link. How To Apply : Eligible And interested candidates must have to send their application & necessary documents to given address below also. Address to send Applications : The Chief Executive Officer, Sardar Vallabhbhai Patel Sahakar Bhavan, Nr. Shastri Nagar BRTS Bus Stop, Ankur Road, Naranpura, Ahmedabad – 380013. 0 Response to "The Gujarat State Co-Op. Bank Ltd. Recruitment For Manager, PRO,PA And Clerk Posts"